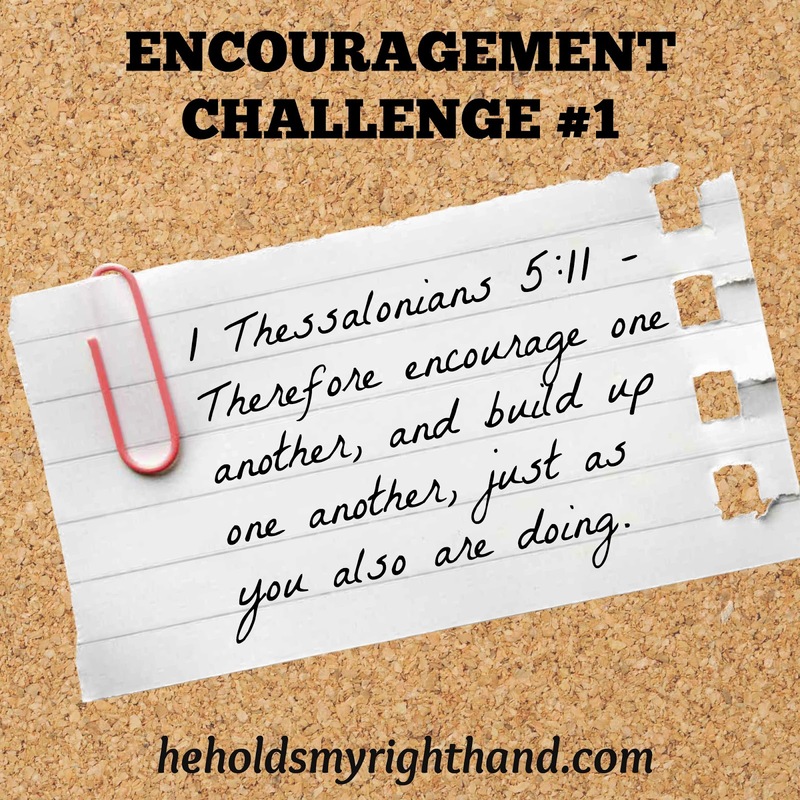 Starting today, I am going to be focusing on a new series of encouragement challenges. There are many verses in God's Word that share the importance of encouraging others, such as the one listed above. I plan on sharing a verse with you each Sunday. Then, I will also post a challenge and encourage you to follow through with it during the week. If you do follow through, I would love to hear stories of what you did, how you did it, and/or what the reaction was. If you haven't already signed up to follow updates from this blog via e-mail or otherwise, go ahead and do it now so you won't miss out on the weekly challenges! Either today or tomorrow, choose one or two people whom you are friends with. Contact them through Facebook, e-mail, or telephone and ask them what they would like for you to pray about for them this week. Tell them you will pray for them DAILY, and then do it. Then, contact them at the end of the week and see how they are doing. I guess we are on the same wavelength, Rein! Great idea, Victoria. Encouraging others is an awesome way of getting the focus off of ourselves and our own problems! Yes, Sylvia! It definitely helps get our focus off of ourselves! Oooooo!!! I like this idea! I'm in! Thanks for the great reminder and prod! I love the encouragement emphasis.